It can be said that when an incredibly unique event takes place, a full moon may have played a role. The Full Moon Concept Motorcycle from Slovenian exhaust pioneers Akrapovič may not be the result of a full moon, taking its name from the large aluminum and carbon thirty-inch wheel, but its design and look are nothing short of unique. With over eight hundred hours of work, it features an S&S Knucklehead 1,524 cc engine and two modified custom-made Akrapovič exhausts. The body and frame are made entirely of sheet metal and is an extension of the exhaust system. 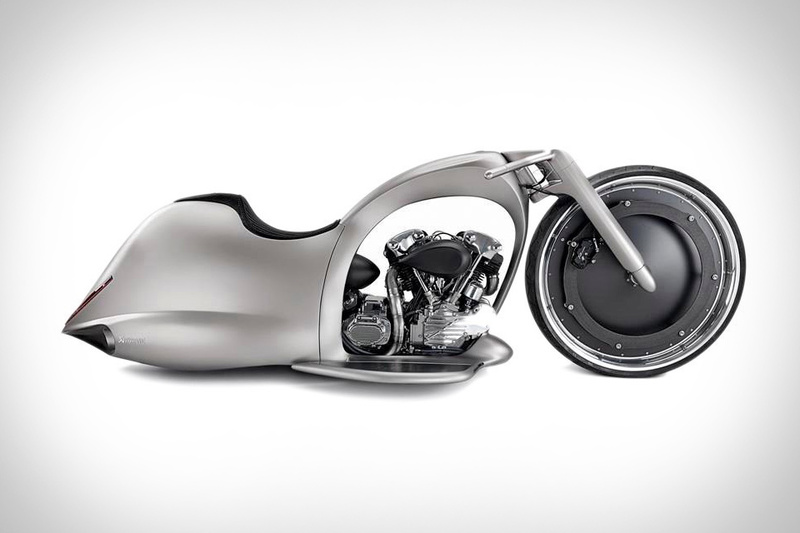 Designed as a continuation of their 2011 Morsus bike, the Full Moon manages to move the story forward while presenting itself as a completely different, exciting prototype machine.